The best way of ensuring that your kayak stands the test of time is by storing it properly. As manufacturers advice, there is nothing more damaging to any kayak than hull distortion. This is why storing the kayak safely either for a day, week or a full season is of immense importance. Long-term exposure to the sun and harsh weather conditions tears down the kayak. When storing these items, it is best to store them in a way that its weight is properly distributed. This is achieved by using the best kayak wall mounts. 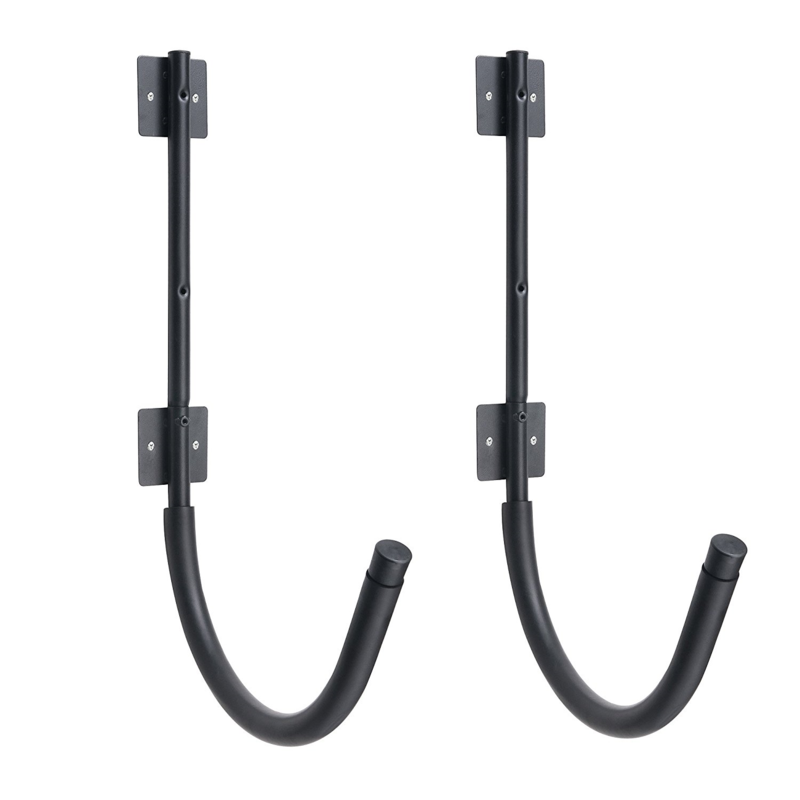 The best kayak wall mount should provide utmost convenience, feature rubber coated hooks that prevent scratching, works with perfect wall heights and easy to install. Kayak wall mounts come in various designs and brands, making it daunting for owners to find a suitable choice. Well, our kayak wall mounts review below highlights some of the best products on the market and tips for finding the best. The Seattle Sports Cradle Kayak Wall Mount is among the best kayak wall mounts present currently on the market. It offers a height of up to 24 inches, a width of 14 inches and weighs only 4.5 pounds. This ascertains a tough hold despite being lightweight. Judging from the weight, it is made from a lightweight, yet strong powder coated steel. Installing the Seattle Sports Cradle Kayak Wall Mount is easy, only requiring users to follow the installation manual provided. This mount comes with installation hardware such as the lag bolt. The Suspenz Rack Wall Mount is a perfect kayak wall mount of choice if you need a solid, affordable and top quality kayak rack. Since its inception, Suspenz line of kayak mounts maintains their product quality, matching the high quality design and unparalleled customer service. Perhaps the reason behind Suspenz success when it comes to meeting customer’s expectation is the fact that the manufacturing company is owned by paddlers who clearly understand what kayak enthusiasts are looking for in a kayak wall mount. This mount cradles your boat or kayak on durable nylon covered with foam-padded arms to protect your kayak from dents and scratches. The nylon-covered foam is fade and damage resistant that ascertains durability as well as an exquisite appearance for long periods whether placed indoors or outdoors. 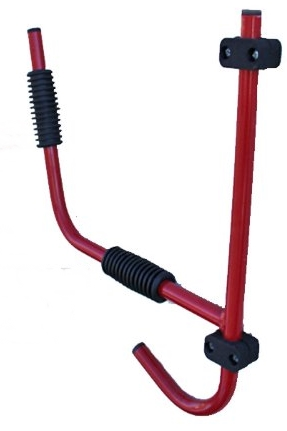 The suspenz racks are also compatible with freestanding frames. Their versatility allows users to mount them directly to the wall or to a nearby freestanding frame, perhaps some flexibility that meets everyone’s storage needs. Safety of the Suspenz Rack Wall Mount isn’t to question. These racks have safety straps that ensure that the kayak or boat is stored securely and safely in the racks. The Xtreme Max 30005 Cradle Wall Mount is a product of choice for maximizing and simplifying kayak storage with wall cradles. 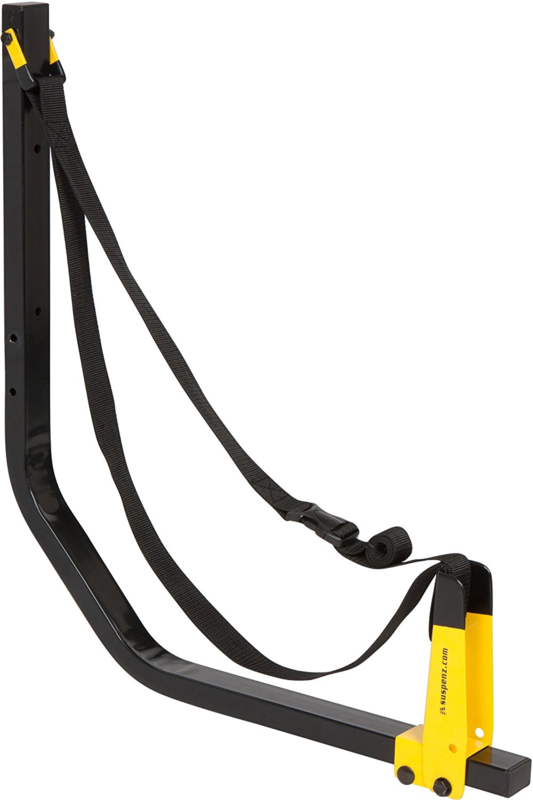 It is a heavy-duty kayak wall mount that can hold up to 200 pounds of kayak securely without requiring straps. As the name suggests, its extremely strong support is provided by its steel construction. Like other high-end models, it is foam padded to provide extra protection, eliminating the risks of dents and scratches associated with cheap kayak wall mounts on the market. Installing this cradle is easy despite its strong nature. The RAD Sportz Kayak Wall Hangers is popularly dubbed the best wall hangers with all the necessary installation hardware. This affordable hanger comes with intriguing features that eliminate the need for storing your kayak on the floor, ground or in the way. The hooks of the RAD Sportz Kayak Wall Hangers have a foam padding like other best kayak wall mounts in the market that protects your kayak from scratches. It is also easy to install and use, given that the product comes with all the necessary installation hardware. Robust engineering of this kayak mount allows you to store up to 200lbs capacity. It can also be used on top of another mount with ease. The Surf to Summit Kayak Storage Wall Hanger is a perfect kayak wall mount of choice if you need to store more items with your kayak. The mount holds one kayak with provisions for holding a variety of other equipment and gears including a bicycle. The rubberized contact points prevent scratches and dings to the kayak. Similarly, the steel construction ascertains lengthy use as well as safety when in use. The mount can be folded when not in use to save on space. Installing this mount is quite easy, enabled by the presence of mounting hardware and instructions. Apart from the bicycle, the hooks can also support gears such as dry bags, helmets, and other outdoor gears. 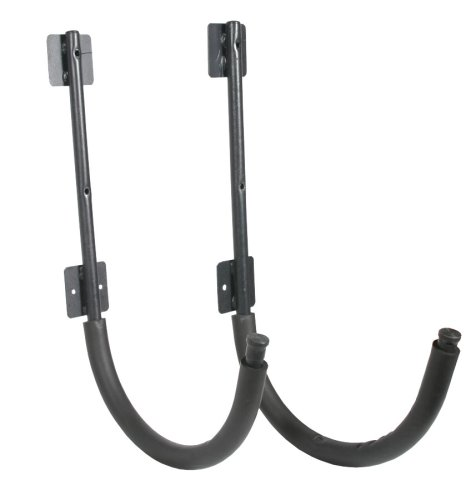 Weight capacity – kayak wall mounts are designed to hold varying capacities. Therefore, make a choice based on the weight of your kayak. Cost – mounts are available with varying costs. Pricey models have extensive features and versatility. Always find one that does not break your bank. Ease of installation – consider getting a wall mount that can be easily installed on the wall. Kayak mounts with installation instructions and hardware make it easy. 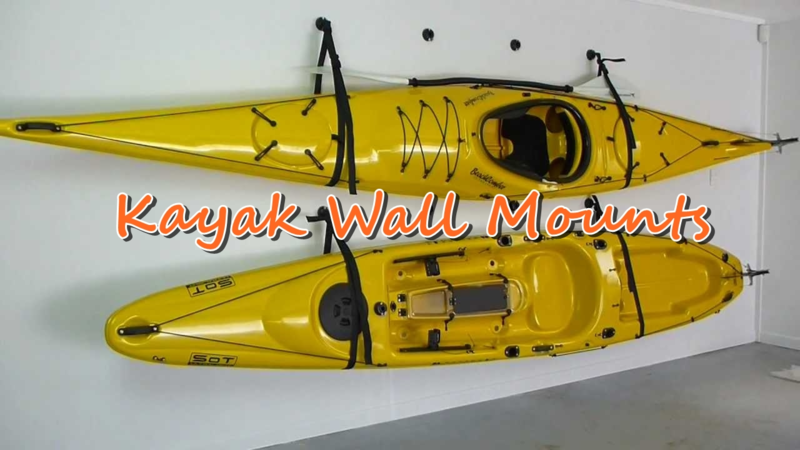 Kayak wall mounts are the best alternative to ground storage, storage racks and wall units used to store kayaks. The best mount should support the weight of your kayak, easily installed, affordable and versatile to meet your storage needs. Finding such can be daunting, taking into account the various brands available in the market. Therefore, consider our kayak wall mounts review above to get insights on the best product as well as some of the best in the market. From our list above, which one is your favorite? Share with us below!